The Brâncovenesc style, also called Romanian Baroque, is one of the most important Romanian art trends. Its denomination comes from the Prince of Wallachia, Constantin Brâncoveanu, who is celebrated as a saint in the Romanian Orthodox Church. It was he who encouraged the development of this style which blends Baroque elements, characteristic of Venice, traditional Romanian elements, as well as Balkan and Byzantine features. One of the masterpieces of the Brâncovenesc Style is the Horezu Monastery, located in the south of Romania. This is without doubt the most appealing monastic centre in this part of the country. The Greek Catholic Church in Şurdeşti is one of the most spectacular structures. This place of worship has a huge tower, made of oak, 54 metres high, when calculated from the ceiling height of the narthex above which it was built. In total, from the foundation and to the top of the tower, the total height is 72 metres. This Maramureş church, dedicated to the Holy Archangels Michael and Gabriel, is among the highest sacred buildings in the world. The Church in Şurdeşti was built on the former site of a place of worship destroyed during the Tartar invasion in the year 1717. Its artisan was the renowned master builder John Macarius, who dared to raise its gigantic tower. According to some sources, the church was built in 1721 and according to others in 1766. 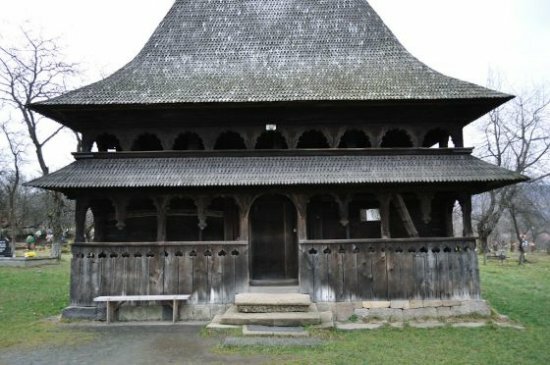 The Church of Rogoz is one of the most beautiful expressions of art from the Maramureş area known as Lăpușului. It has as patrons the Holy Archangels Michael and Gabriel. 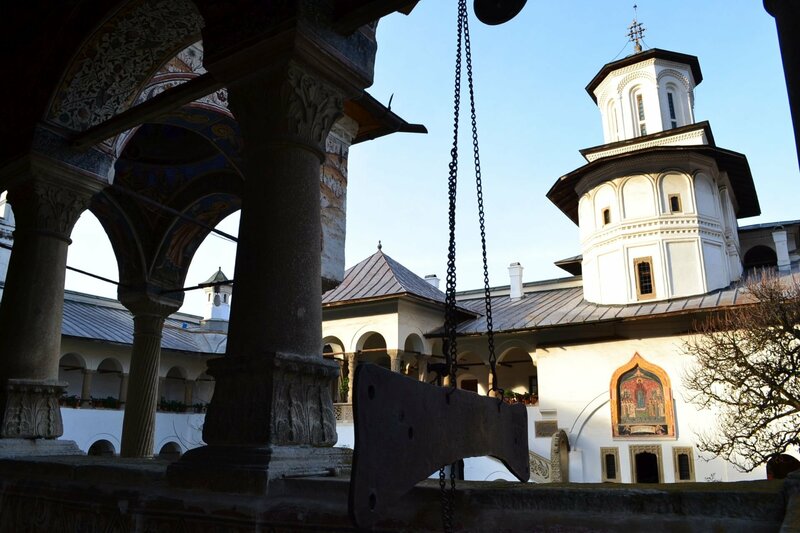 This place of worship was erected in 1663 on the site of an older church, destroyed during the invasion of the Turks and Tatars in 1661 against the Prince of Transylvania, George II Rákóczi, after his unsuccessful attempt to become King of Poland. This church is very rare among wooden churches. The narthex has a polygonal shape, with access from the south nave which is rectangular, and the altar is also in the form of a polygon with seven sides. 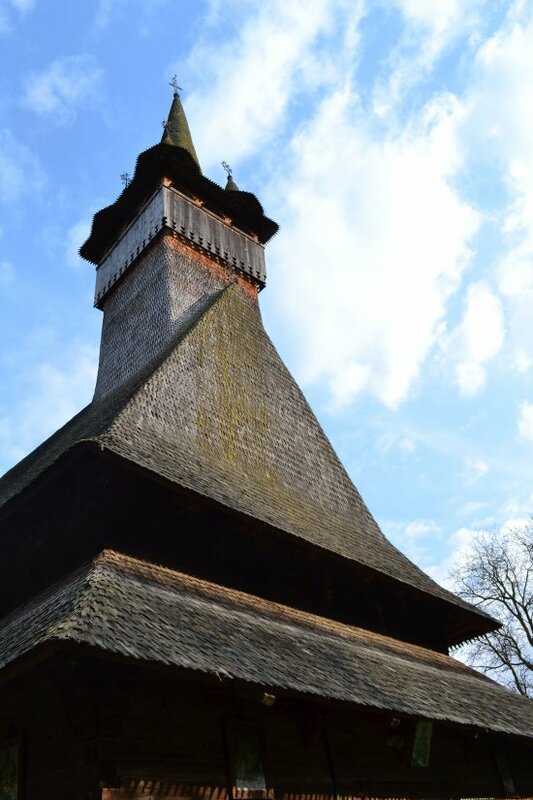 There is a local legend about the wooden church in Poienile Izei due to the presence of a metal crescent under the crucifix that crowns the tower of the church. The legend says that the crescent was added by one of the locals to keep the church from being desecrated by the Turkish and Tatar Muslims. The legend was reinforced by the fact that during the Tatar invasion in 1717, the church in Poienile Izei was one of the few that escaped undamaged. But in reality the crescent moon that generated this legend is not a Muslim symbol, but Byzantine. 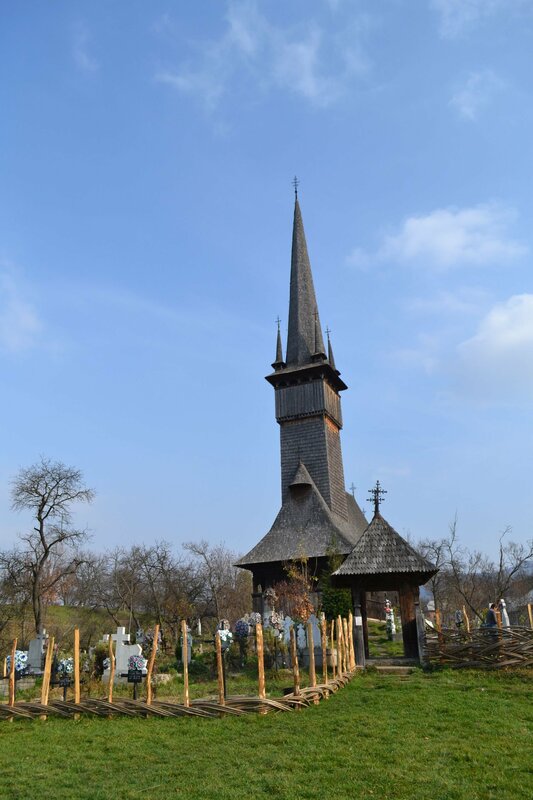 The church in Plopiş was built later than the other Maramureş churces on UNESCO's list. It also has more modest dimensions, because the village that raised this place of worship only numbered 200 souls at the time of the foundation. However, this oak-built church, dedicated to the Holy Archangels Michael and Gabriel, has several features that bestow upon it the look of a true architectural gem. Although the mural painting has only been preserved in fragments, there are remarkable exterior decorations carved meticulously in wood by the local people who were famous sculptors of dowry chests. Budeşti , "The Wooden Cathedral"
The Church of Budeşti, Josani is a magnificent example of the Greek Catholic cultural synthesis in Maramureş. The place of worship blends Eastern and Western traditions in perfect harmony. 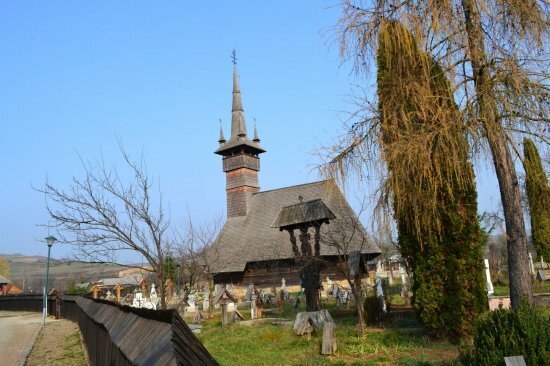 Basically, it is the largest wooden church in the UNESCO patrimony. The church was built in 1643, on a hill that dominates the village. The settlement was attested in 1361, when it was part of a Romanian Principality, attested in a diploma issued by King Louis of Anjou. The prosperity enjoyed by the locals allowed them to finance this particularly impressive construction. The length of the church is 18 meters, 8 meters wide, while the height of the tower is 26 meters. 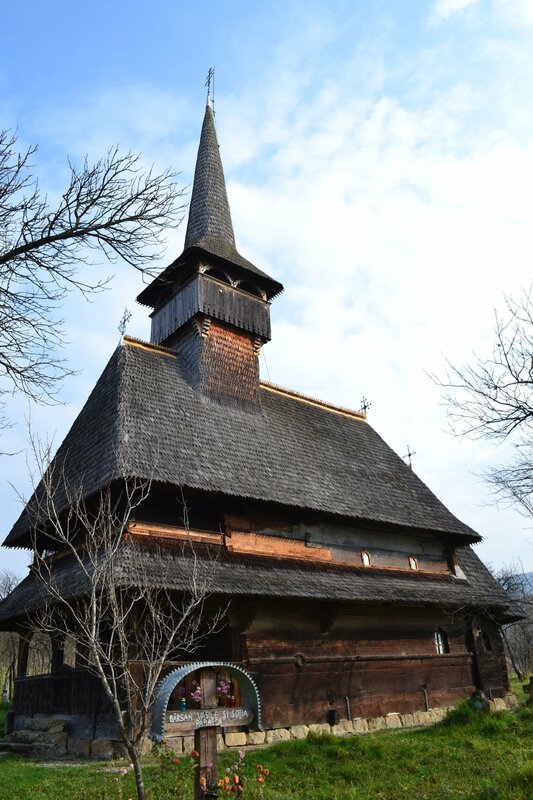 The wooden church in the village of Bârsana is a sublime expression of a Greek and Catholic cultural synthesis. 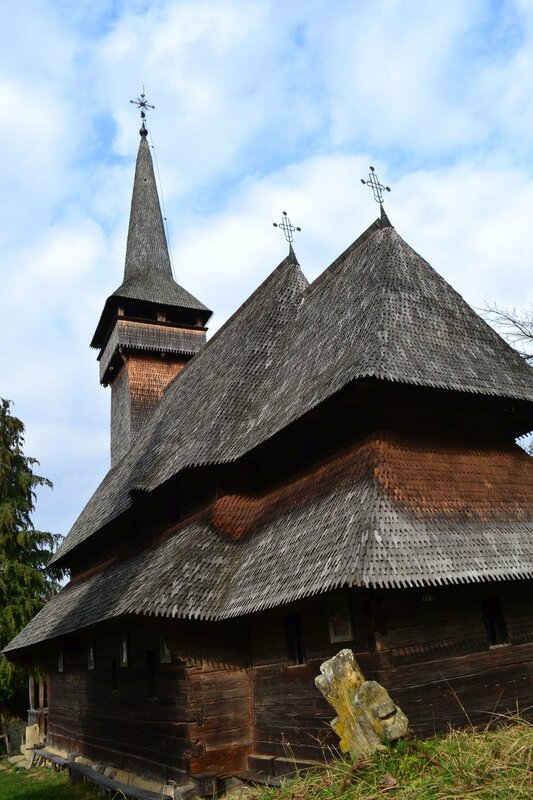 This place of worship was built after the Union of the Romanian Church in Transylvania and Maramureş with the Church of Rome and marks the opening of this Byzantine spiritual space to the influence of the West. The church was built in 1711 and it is dedicated to "The Entrance of Virgin Mary in the Church." Initially, it served as a place of worship for a monastic resort built in the area, also known as the Monk's hair. The founder was the nobleman John Ştefanca and his sons, who wanted thus to thank the Creator for having them insulated from the great plague of 1710. One of Antiquity’s strongest fortresses in this part of Europe is Piatra Roşie. It is a fortress which comprises two joined enclosures. The oldest was built in the time of King Burebista to stop the rampage of the Celts, and the second enclosure was added in the time of Decebalus, in the context of the Roman offensive for the conquest of Dacia. The two enclosures measure an area of approximately 1.2 hectares. The first enclosure is built on a rocky peak, at an altitude of 832 metres. The peak is surrounded on three sides by inaccessible abysses. Access is only possible from the east. 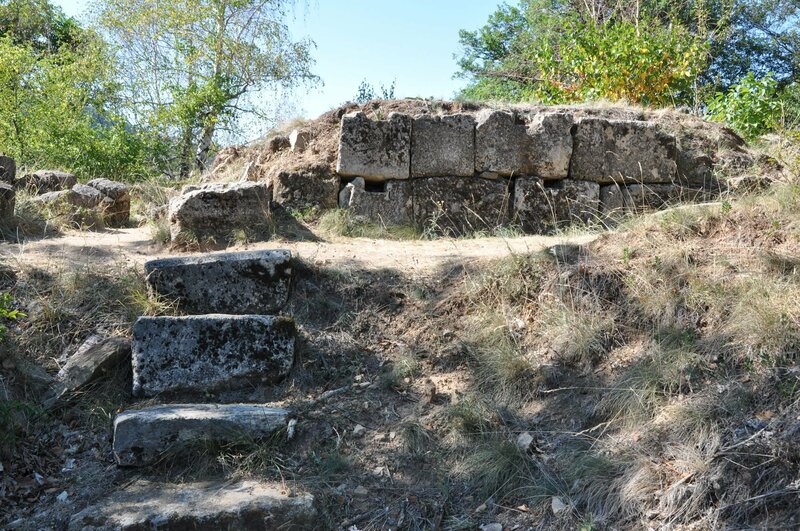 The Dacian fortress of Căpâlna poses one of the greatest challenges for Romanian restorers. The fortress, part of UNESCO’s heritage, is going to be rebuilt, thanks to a five million Euros project, financed by the European Union. 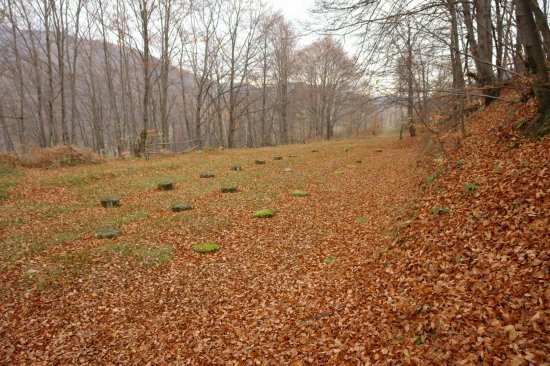 The Dacian fortress walls will be restored two millennia after they were destroyed by the Roman army. Local authorities promise that these walls will be entirely rebuilt. Also, the land on which the old fortification stands will be strengthened. The south of Transylvania is home to the strongest fortification across the kingdom of Dacia. 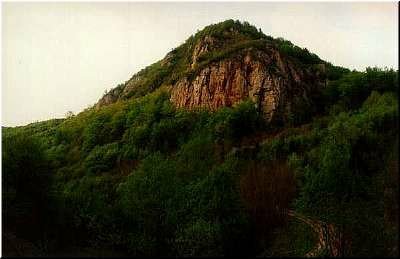 Most likely, the fortress was built in two successive stages during the reign of Burebista and Decebalus, to serve first as a defense against the Celts, then against the Romans. First, a tower-house was built on the hill, at the altitude of 705 meters, by one of the local aristocrats, before the reign of Burebista. This king ruled between 82 and 44 BC and was assassinated in the same year as his great rival, Julius Caesar. The central Romania city of Cluj-Napoca might host an ATP men’s tennis tournament starting 2020, local sports publication ProSport has learned. Copyright © 2014 ClujToday All Rights Reserved.